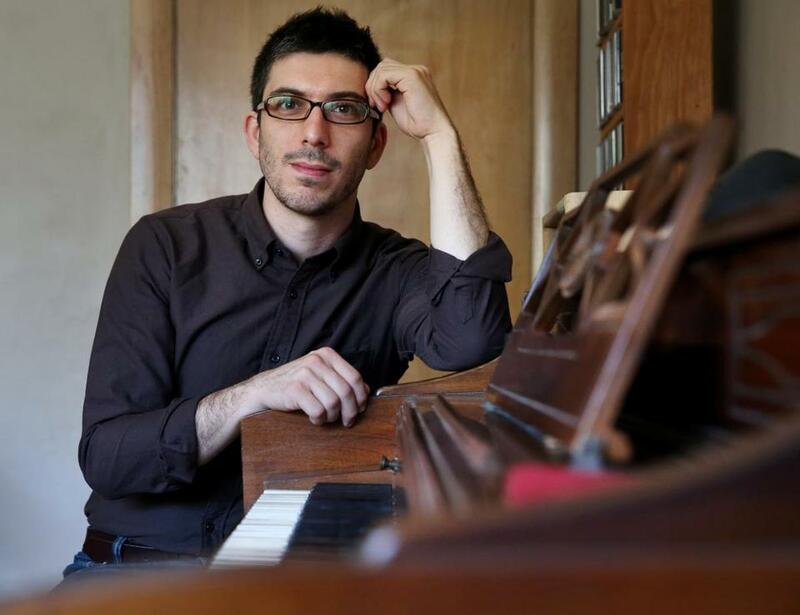 Mischa Salkind-Pearl isn’t sure exactly when he became a composer, or even when he decided to follow that path. But the seeds were planted in high school, when his father, a classical guitarist, gave him some recordings of 20th-century music. He listened widely, from minimalism to Arvo Pärt. But what really excited him were the more experimental creations of Lucier, Xenakis, Scelsi. It wasn’t any particular compositional method that fired his imagination; it was, rather, the sheer out-of-left-field nature of the sounds: “these totally bizarre and revelatory and unexpected experiences you can have listening to new music,” as he put it in a recent interview. That fascination eventually crystallized into an aesthetic approach of his own, which Salkind-Pearl describes in terms of the relationship between humans and the natural world. That focus on the unexpected, the untamed, the thing that eludes our control, has infiltrated Salkind-Pearl’s music over the last several years, as his work has become increasingly visible in Boston and elsewhere. Take “Silt,” a piece for violin and marimba that he wrote last year. It begins with a kind of folk dance that lasts only about a minute, after which a new texture takes over — a series of soft, swooping gestures, delicate and nuanced. After about nine minutes of that, the piece ends. Or take “In” for flute and percussion quartet, written in 2012 for Ludovico Ensemble, which was in residence at Boston Conservatory when Salkind-Pearl was a graduate student there. (Salkind-Pearl is now on the conservatory faculty, and serves as the ensemble’s composer-in-residence.) The piece — which Ludovico will perform on Tuesday as part of the Equilibrium Concert Series, cofounded by Salkind-Pearl in 2011 — puts the flutist on stage and disperses the percussionists around the hall, so that the listener loses some sense of where particular sounds come from. When it came to writing “Troubled Water,” an opera for the local troupe Guerilla Opera (premiering Sept. 18), Salkind-Pearl and his librettist, Frederick Choi, drew inspiration from Ichiyo Higuchi, a late-19th-century Japanese writer whose tragic life and early death at age 24 are, the composer said, “almost too operatic.” They interweave scenes from her stories with events drawn from her life. Salkind-Pearl speaks thoughtfully and incisively about how fruitfully he’s been able to mine the human-nature theme for inspiration in his music. But like every creative artist, he’s also concerned that he might start to repeat himself, and thinks it might be time to light out in a new direction. “I’m not leaving that behind, but I think I need to take a drastically different approach if I’m going to keep writing things that are interesting. I’m not entirely sure what that will be. Music of Salkind-Pearl, Globokar, and Hauser. Presented by Equilibrium Concert Series. At: Davis Square Theatre, Somerville, Tuesday at 8 p.m.
At: Zack Box Theater at the Boston Conservatory. Sept. 18, 19, 24, 25 at 8 p.m.; Sept. 20 at 2 p.m.